When you are considering what gift to get for your photographer friend or family member, there are a number of gift ideas for photographers that you can use to make their birthday or holiday the best yet. This short guide will go over a some of the best gifts for photographers that you can consider for this special person in your life. I will add to this list of unique gifts for photographers as I come across more ideas, products or services that I feel can be unique gifts for photographers. 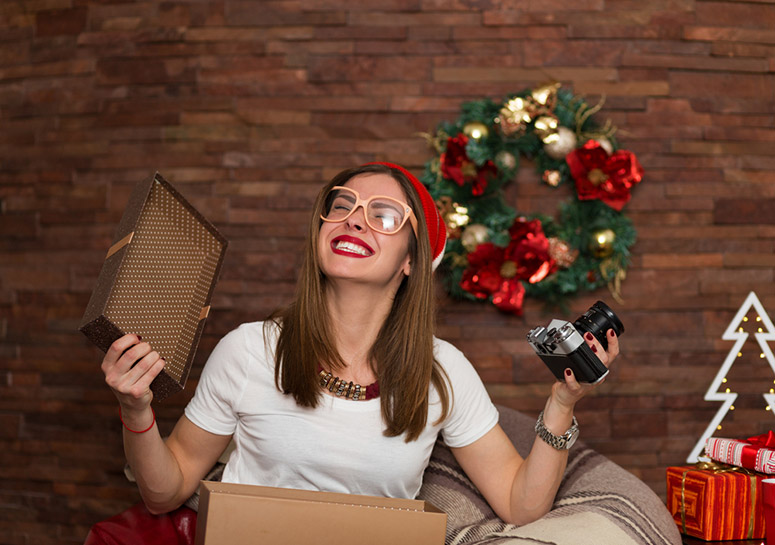 To make sure that you can get your hands on these cool gifts for photographers, I have included online purchase links for all these gifts for photographers. These are not affiliate links, i.e., we don’t make any money if you purchase any of these gifts. 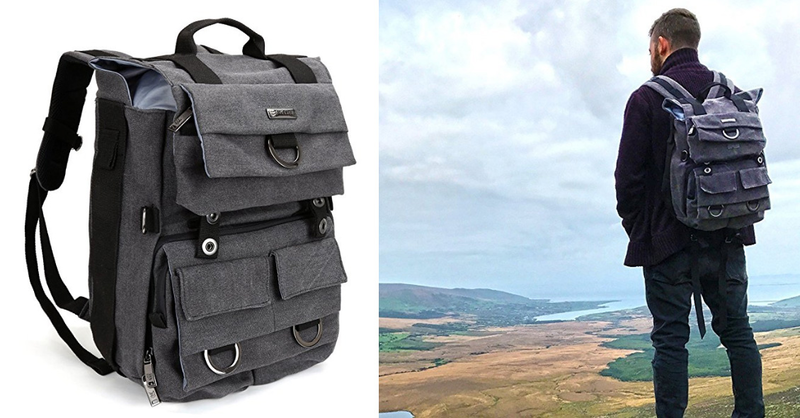 This heavy-duty backpack is perfect for the photographer on the move. The pack itself is made out of thick, waterproof canvas with plenty of internal foam padding to keep camera, laptop, and tablet secure and safe. The backpack measures 15 x 12.5 x 7 inches total and has a 9.6 x 11 x 4-inch compartment for a camera. You can find this backpack here. 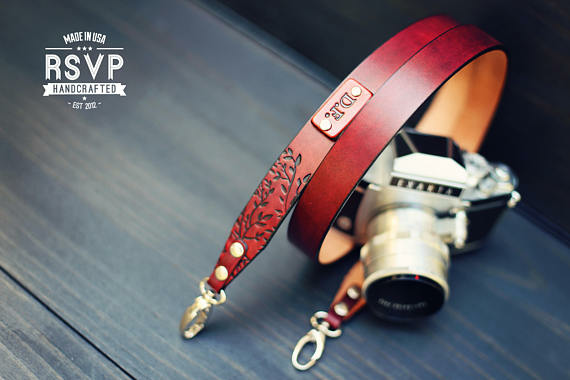 Some of the best gifts for photographers are those that appeal to their fancier sides, and this leather carrying strap stamped with tree branches is the perfect option. The leather itself is expertly tanned, and you can choose which type of leather stain you want to customize the strap further. You can also choose a 20 character message to be stamped onto the leather. You can find this leather strap here. 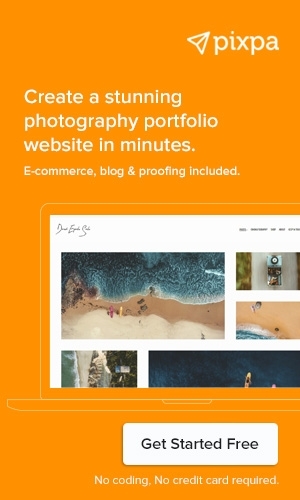 Every photographer needs a beautiful portfolio website to showcase their work to the world. 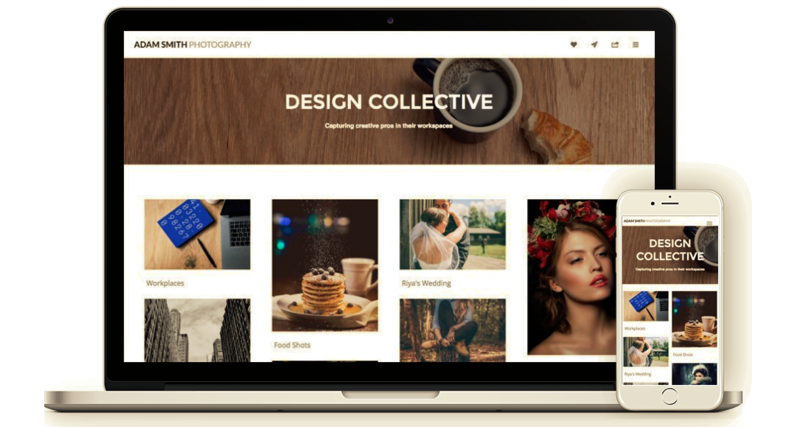 You can gift a year's subscription of Pixpa to your photographer friend and even help her out in curating her portfolio and creating a portfolio website. Sign up for a free trial of Pixpa here. This instant camera could appeal to the professional photographer who loves historical details about his or her craft, or it could be one of the best gifts for photography lovers who have always wanted to use an instant camera. No matter the reason, this adorable and functioning piece of history is a great gift for photographers and photography enthusiasts alike. 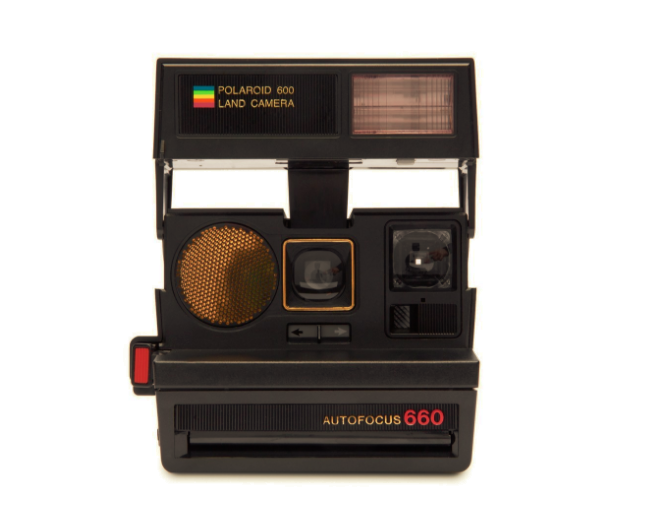 You can find this instant camera here. 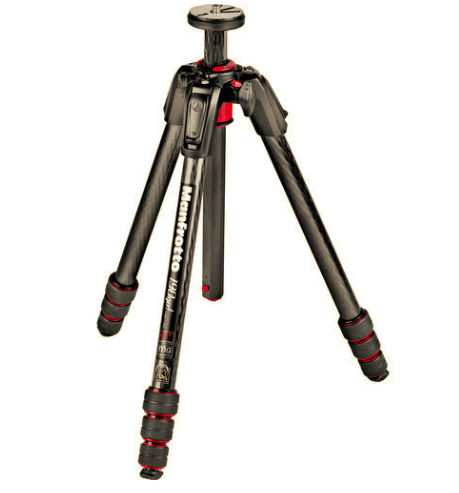 If you want to go all out and get an exceptional gift for the photographer in your life, then check out this high quality, versatile tripod from Manfrotto. The tripod itself is made out of either carbon fiber or aluminum, depending on your preference, and has a height variance between 3.2 inches all the way up to 57.9 inches tall. You can find this tripod here. 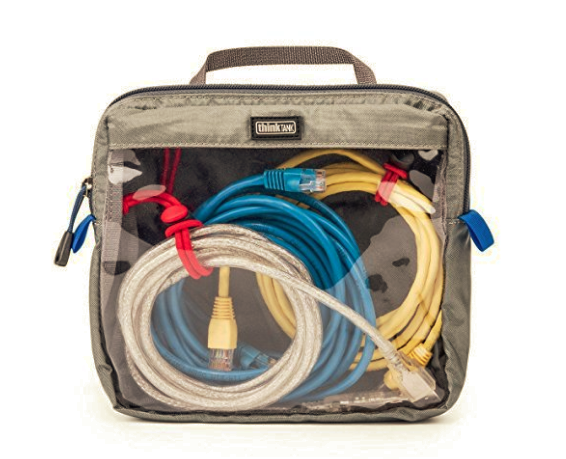 On the line of more practical gifts for photographers, you can try getting your photographer friend or family member this sturdy zippered case that he or she can use to store all of their cables and other tools while on the job. The front panel of the case is clear, so you are able to easily see what is in the pack for quick retrieval. On the back of the case, there is a small pocket where a photographer could keep business cards or a card detailing what is in the pack. You can find this case here. Have you ever heard the photographer in your life complain about how loud the shutter on his or her camera is? Then this camera sound muffling enclosure might be the perfect gift option. 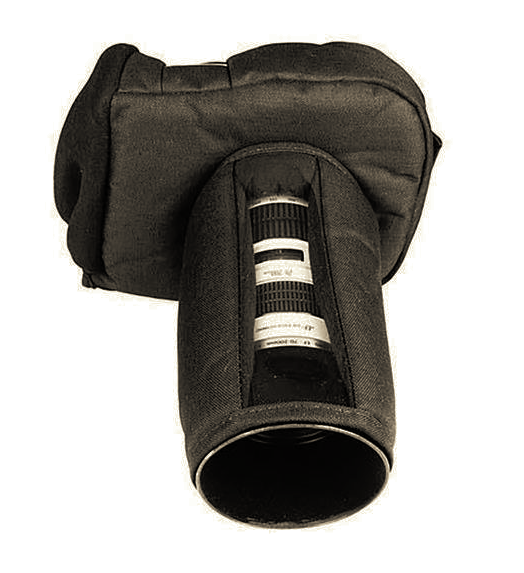 The muffler itself is made of a soft material with a clear window in the back of the camera's LCD screen as well as an opening in the front for the camera's lens. The muffler is easy to put on and weight only a pound. You can find this camera muffler here. Sometimes, the best gift ideas for photographers are those gifts that give them ideas of their own for their art. 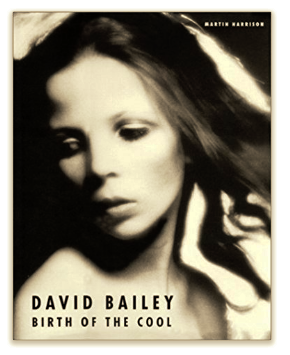 This hardcover photography book includes more than two hundred photographs taken between 1957 and 1969 during London's "retrospective" era. This type of gift is perfect for photographers looking for inspiration, or for those photography enthusiasts who enjoy taking a look back through the varied history of the art. You can find this hardcover book here. Sign up for a Pixpa Client Proofing account here. Gifts for photographers do not need to be complicated. After all, if the photographer in your life is serious about their passion, there is a good chance they already have the gear they need or are picky about what they use with their camera. 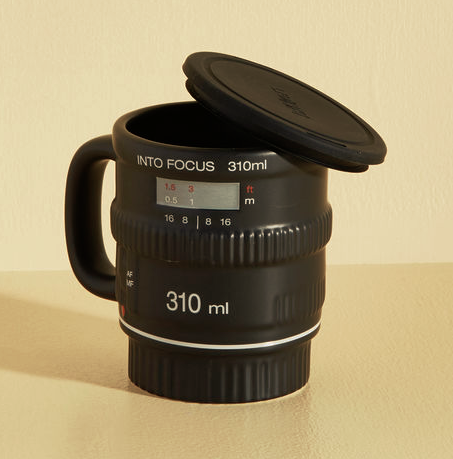 Either way, an adorable, camera themed mug could be the excellent, funny or straightforward gift that your friend or family member needs. You can find this mug here. 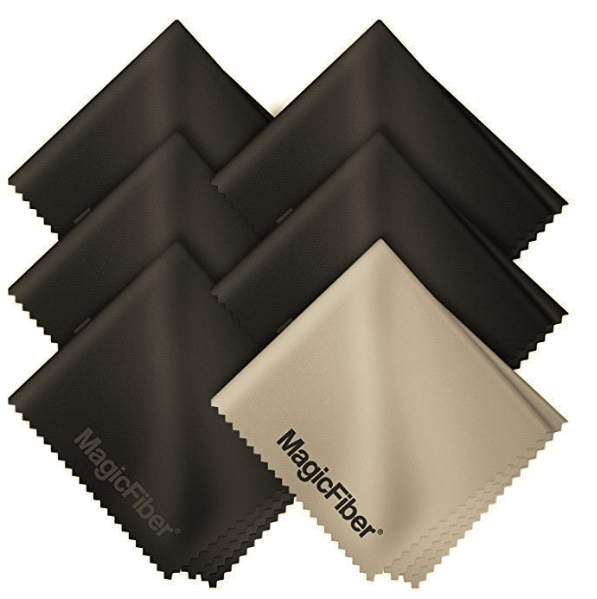 Also on the simpler side, these microfiber cleaning cloths may be one of the best gifts for photography lovers because they are small, portable, and perfect for cleaning a lens before a shoot or otherwise keeping one's camera in prime condition. Microfiber cloth is especially adept at cleaning stubborn grit and oils from glass surfaces and with a pack of 6, your photographer can keep one in a number of areas for emergencies. You can find these microfiber cloths here. Another excellent source of inspiration for your photographer friend or family member can come in the form of a high-quality magazine subscription. The California Sunday Magazine is a part of the larger Pop-Up Magazine franchise that began in California and focuses on mixed media and supports live media and shows across the country. 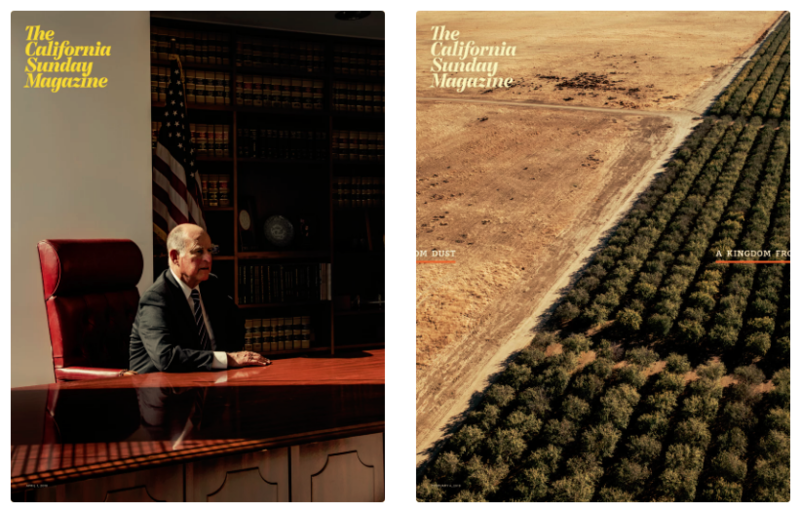 The California Sunday Magazine features exclusive stories and cinematic photography from around California, Asia, and Latin America. You can get your subscription here. 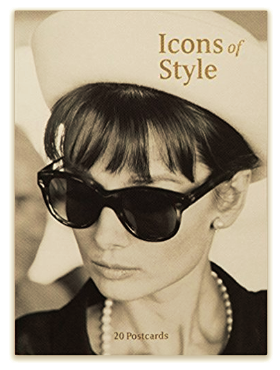 This set of 20 postcards features the photographed faces of some of history's most notable women, including the faces of women like Audrey Hepburn, Bianca Jagger, Faye Dunaway, and Jane Birkin, among many others. This is a quaint and charming gift that a professional or hobbyist photographer would find interesting as a memorial of their chosen art. You can find the postcard set here. This gift will give the photographer in your life a more artistic way to display their work. The set includes a five-foot string that can be hung up on a wall and 12 metal photo clips that allow him or her to hang up their favorite shots. 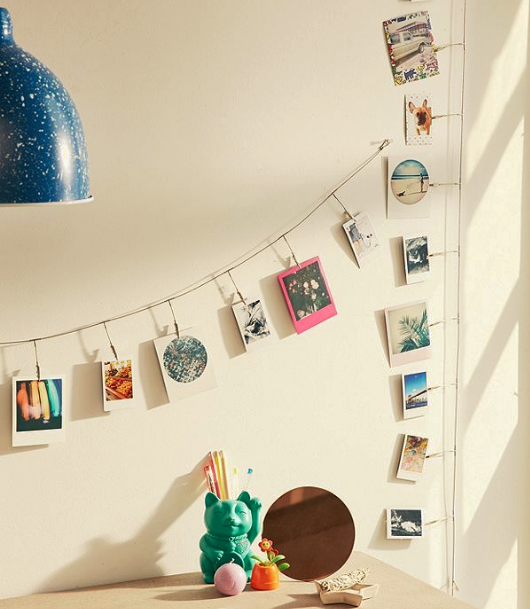 You can even get a few of them for maximum hanging and artistic potential. You can find this photo hanging set here. You can find this custom photo book here. This small, portable printer is the perfect gift for the photographer on the move who wants to create small, high-quality prints at the touch of a button. 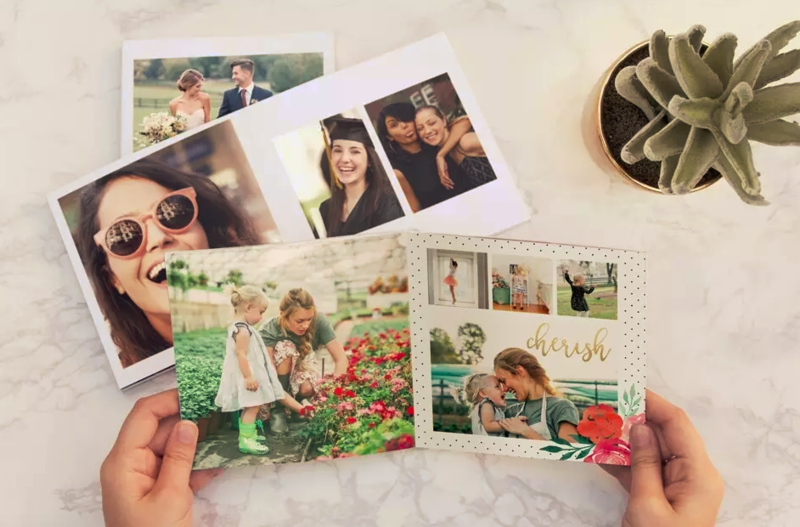 The Lifeprint Photo Printer can be connected to WiFi and Bluetooth and allows you to instantly print photos from your phone, social media platforms, and so on. You can even print videos and GIFs! 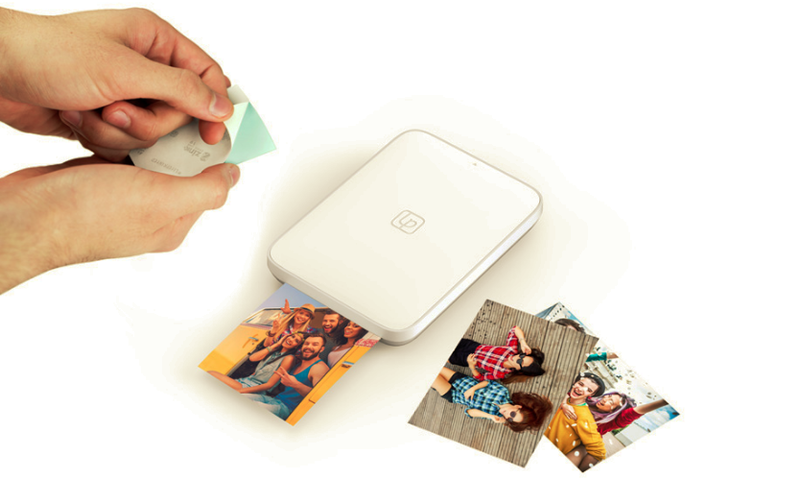 Perhaps best of all, if he or she has photographer friends with their own Lifepritn Photo Printer, they can print to one another's portable printer for even more fun and social connectivity. You can find the Lifeprint Photo Printer here. 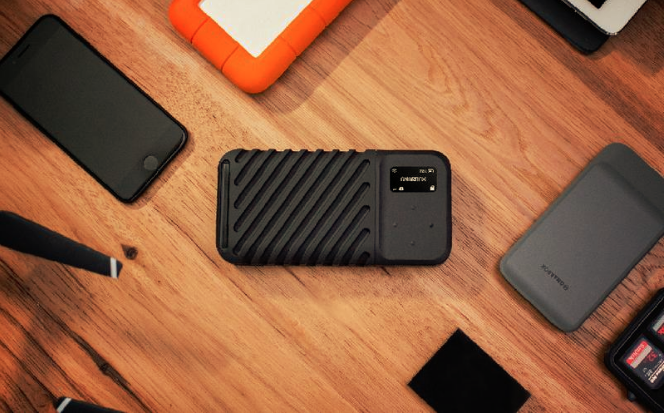 The GNARBOX is a handheld, portable external hard drive with built-in WiFi connectivity and your choice of either 128 GB or 256 GB of storage. This is the perfect, portable storage and backup solution for photographers. 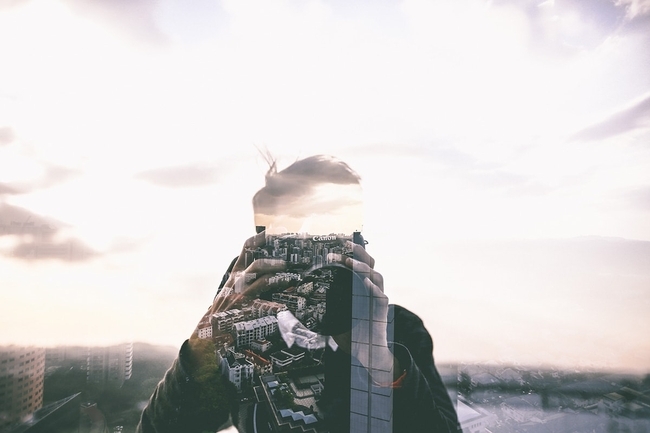 GNARBOX also has an iOS and Android compatible app that allows photographers to edit pictures, videos, and so on directly from their phone. The app also allows for instant conversion and uploading of images, so photographers can keep up with their social media or their businesses while on the road. You can find the GNARBOX here. 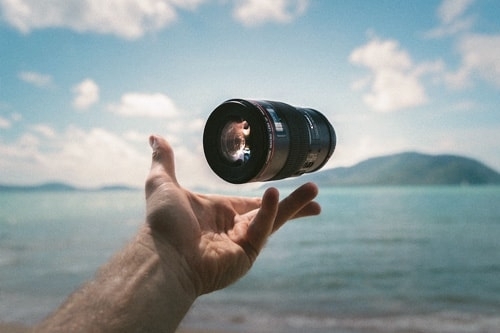 If your photographer friend or a family member has either been dabbling in aerial photography or has mentioned an interest in the art, then you can consider getting them a high-quality drone that they can use for all of their aerial photography needs. The DJI Mavic Pro Platinum has a long battery life, excellent photo and video quality is made of durable materials, and is small and lightweight enough to be carried in a standard camera bag. This gift is on the pricier side, but it could indeed open up the photographer in your life to a whole new world of photographic possibilities. 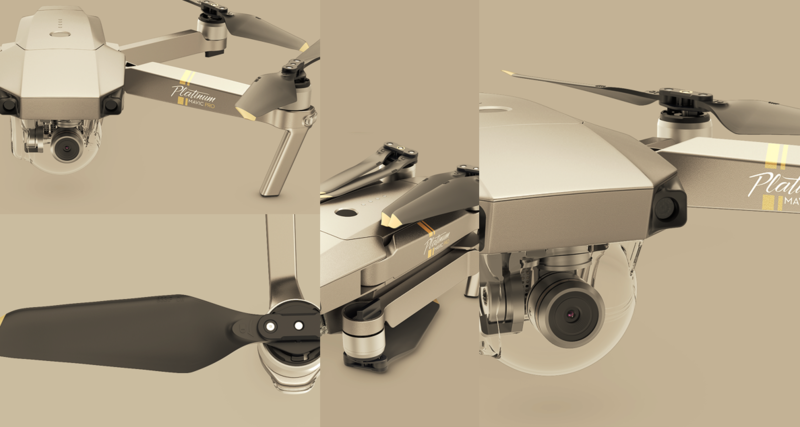 You can find the DJI Mavic Pro Platinum here. If you are searching for a gift for travel or wildlife photographer friend, then this solar charger for their camera and phone is a perfect gift option. Just attach the solar panel component to a window or other surface that receives plenty of sunlight and hook up your camera or phone. Done! 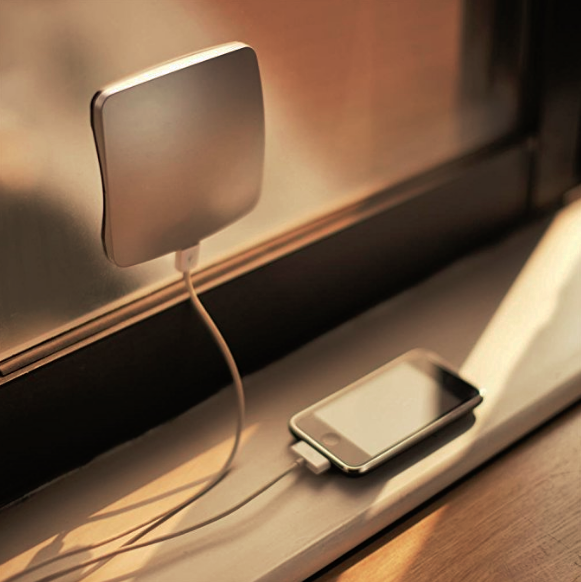 You can find this solar charger here. 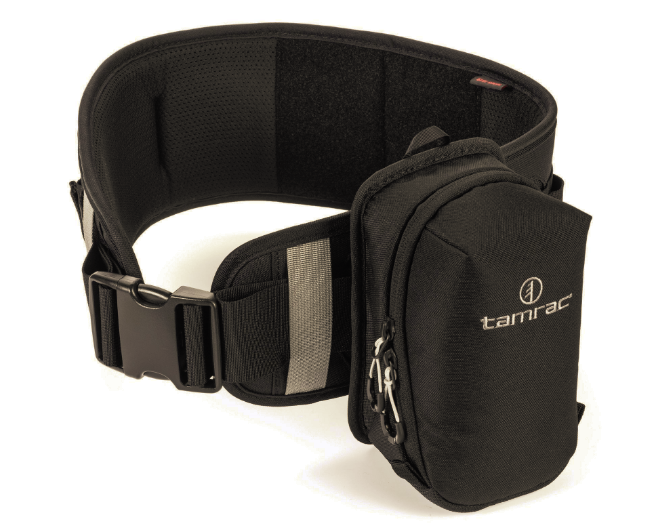 This highly innovative camera belt can be adjusted to fit nearly any waist and can hold a number of different attachments that will make carrying camera gear more comfortable and convenient. The base component of this system is the belt itself. From there, ARC offers many different accessories that easily attach to the belt and can carry all the gear you could possibly think of with ease (including a water bottle!). You can find the ARC belt and belt system here. The beauty of this charger is that while you are charging your phone, you are also charging the device itself, which is a backup battery. For the professional photographer on a shoot, this is the ideal solution to ensuring that his or her camera and phone do not run out of power. The charger also comes with an internal Smart Charge Technology that will not allow you to overcharge your batteries, thus damaging them. You can find this wall charger and battery backup here. 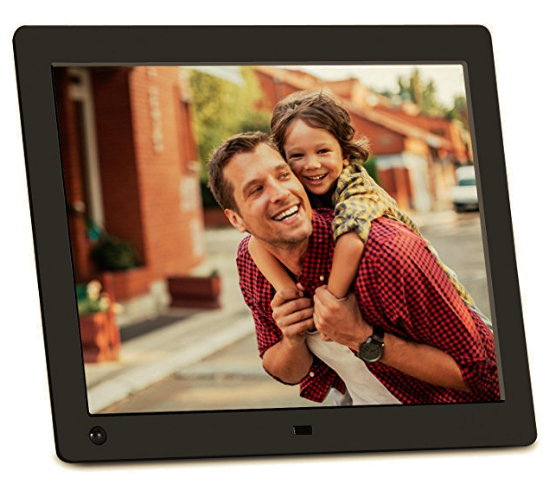 A digital photo frame is the ideal means for your photographer friend or family member to easily display their photograph or video collections. This photo frame has a sensor that will automatically turn on the display when you enter the room and then turn off again when no motion is detected after a certain period of time. It can hold up to 8 GB of photos and videos, and the frame itself can be connected to a USB or SD/SDHC card for easy download of photos and videos. You can find this digital photo frame here. 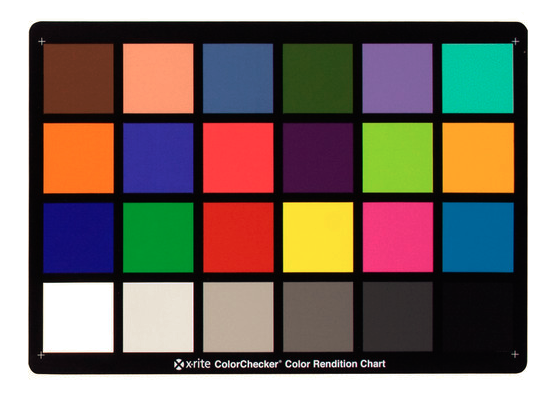 For the professional photographer, this color card is the ideal tool to ensure that he or she is achieving an accurate color balance in their photos. The card involves 24 colored squares that cover an array of natural colors and can reflect light in the same way that the natural objects would. Thus, the colored squares will be able to show the true color of the objects in question no matter the light conditions. This is an excellent tool for photographers who want to double check their work and make sure that they are achieving the best results possible. You can find this color card here. 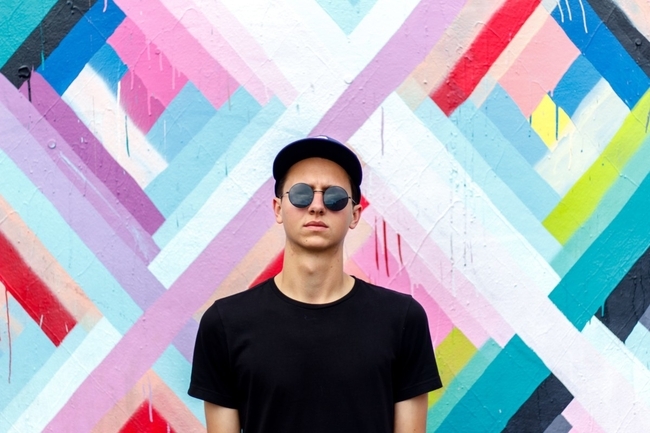 This unique tool is actually just a specialized aerosol spray that can be used to create unique lighting techniques and situations for a photo shoot. Rather than lug around a bulky smoke machine, this spray can be used quickly and easily to create a "hazy" or "foggy" appearance in one's photography. The spray is lightweight, non-toxic, and subtle. 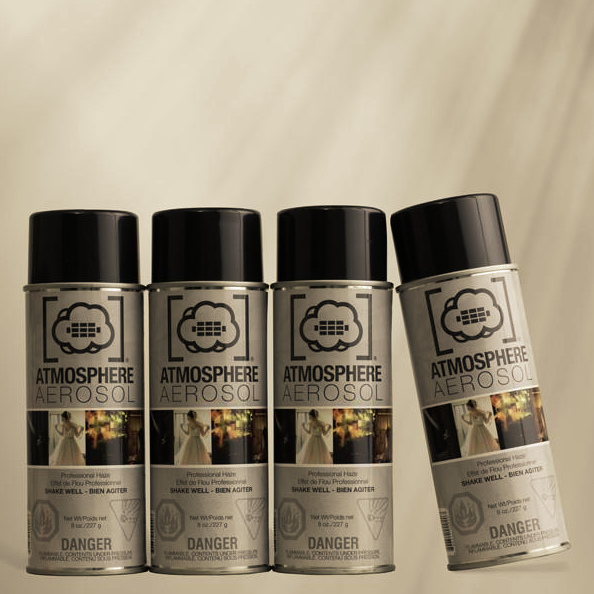 You can find this aerosol spray here. What do you think about my selection of cool gift ideas for photographers? If you have any suggestions on gifts for photographers that can make them feel special, do add them in the comments section below.